It is on record that the US military have been working on weather modification for well over 50 years. I doubt it’s just the US military playing these games. This brief video provides an insight into these processes, focussing on the facilities around the globe that are set up to drive this. There has been much brouhaha by the global political cut-outs since Trump withdrew the US from the Paris Climate Accord. Right on queue. Then we have Ian Plimer, Aussie geology and mining professor, in his presentation to a UK Government Public meeting in 2011. I’m currently reading his book Heaven and Earth: Global Warming, the Missing Science. He writes as cogently and entertainingly as he speaks. However, neither of them, for whatever reason, points out the game behind the game – the elite’s creation of this farce to justify Agenda 21, now renamed the 2030 Agenda. As I’ve said before, this agenda is carefully hidden from the public. To understand how this was all crafted, look no further than the life journey of Maurice Strong, cultivated and tasked with unfolding both the global warming myth and Agenda 21 on behalf of the global elite. It’s only when you join the dots that the picture becomes clear. James Corbett hanging the global warming nonsense out to dry once more. One month before the climate summit being held in Paris, Philippe Verdier, a popular French weatherman was fired by France’s channel two. He had published a book claiming that scientists and politicians are generating hype around climate change – and making the world needlessly afraid. The recent Electric Universe conference in Albuquerque New Mexico featured investigators from wide ranging disciplines, who had come to a common conclusion. The key to understanding so-called climate change is the electromagnetic connection between Earth and the Sun. One of the most powerful of these voices is Piers Corbyn, who has received international acclaim for the accuracy of his long-range forecasts. Although we hear daily of a scientific consensus to the contrary, Piers unequivocally explains why it is a myth, and why the key climate driver on Earth is the sun. Hard to believe, given all the noise we hear, or that warming stopped 20 years ago. I have referred in the past to the work of dutchsinse regarding weather modification using HAARP and other technologies. This brief video shares recent public confirmation of the effectiveness of such technology. As we watch the wildfires across Northern California, it is sobering to note that this video was made in February. Deborah Tavares understands very clearly what the satanic Rothschilds are up to, as I have written extensively about. I have not been writing about this recently, but this is too powerful and clearcut to ignore. She was, in effect, forecasting the current firestorm we see. And much more. She understands that PGE, the power supplier in much if not all of California is owned by the Rothschilds, along with most if not all electricity utilities in the US. Deborah understands the Agenda 21 game and how these wild fires are connected to Agenda 21 (now the 2030 Agenda), clearing people from the countryside and herding them into cities. She and others understand how the Rothschilds and their agents are able to control weather and have been for, perhaps, 50 years, and they are ramping up their activities globally. 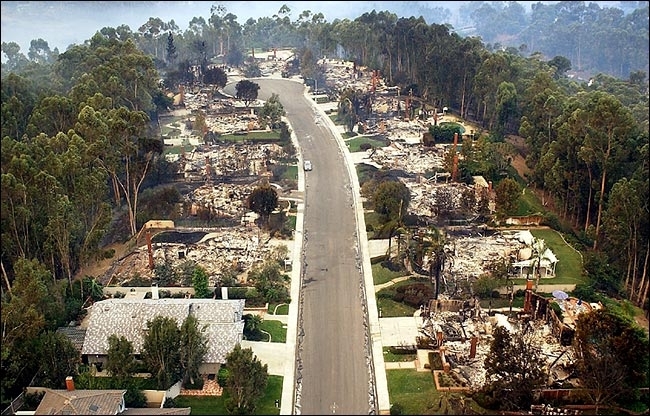 Deborah and others understand the use of directed energy weapons to cause these fires. They understand how false pictures of water shortage are being created to charge us for water. The Rothschilds and their satanic compatriots are ramping up their attacks upon humanity. We need to understand the scope and scale of their efforts. They have effectively owned our world at least since 1918 and, arguably, long, long before. I encourage you to watch this video. We need to understand this. And this video fleshes out this picture. But, if I’m right, these current efforts are part of their final death throes.